Danny Rose broke Burnley hearts with a second-half winner as Tottenham snatched a 2-1 victory and moved to within a point of the Premier League's top four. Burnley took a surprise lead at White Hart Lane through Ashley Barnes but Dele Alli pulled the hosts level before Rose's stinging strike clinched a valuable three points for Mauricio Pochettino's men. Moussa Sissoko, who came off the bench to set up Spurs' winner, had been lucky not to be sent off for a high challenge on Stephen Ward. The win is Tottenham's fourth in five games in all competitions and means they now sit fifth, only a point behind north London rivals Arsenal. Burnley stay 16th and three points above the bottom three. Pochettino was forced to make a defensive change from the side that beat Hull on Wednesday, with the club stating Toby Alderweireld was unavailable due to a back problem. It meant Spurs reverted to four at the back as Eric Dier took his place centrally alongside Jan Vertonghen. Burnley were looking for their first away win of the season having lost six out of seven matches on the road and striker Sam Vokes, who was part of the Clarets' side which lost 1-0 to West Ham in midweek, found himself on the bench in place of Barnes. Spurs dominated from the outset with four shots in the first 10 minutes and came close to taking the lead when the in-form Christian Eriksen almost connected with Harry Kane's cross. Burnley struggled to keep possession in the first 45 minutes but should have taken the lead when Ward crossed into Andre Gray, but his shot from six yards out was expertly saved by the feet of Spurs keeper Hugo Lloris. After a brief pause while Alli received treatment on his foot following a tackle by Matthew Lowton, Tottenham continued to dictate, but against the run of play it was Burnley who took the lead on 21 minutes. Harry Winks and Kyle Walker both failed to clear out wide before George Boyd's cross was toe-poked by Mousa Dembele into the path of Barnes, who capitalised to score his team's first away goal from open play this season. The visitors were only in front for six minutes, however, as Alli was left on his own in the area, Walker's cross evading three Burnley defenders before the 20-year-old side-footed an equaliser past Tom Heaton. 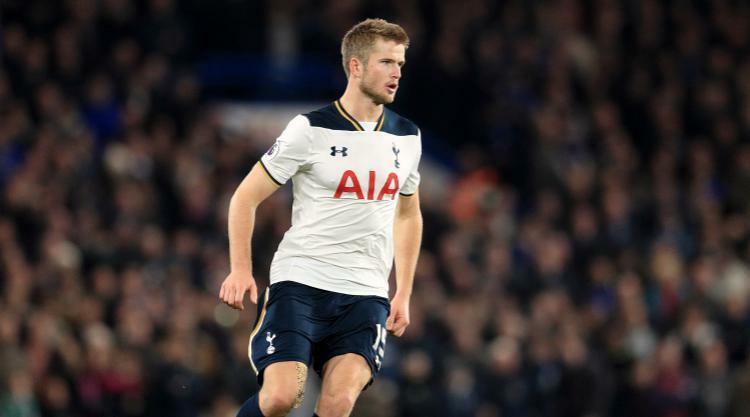 In the second half, Burnley appealed for a penalty when Gray was brought down in the area by Dier but referee Kevin Friend waved away the appeals, with Dier appearing to have got a touch on the ball. Tottenham continued to press and just after the hour mark, Eriksen's powerful shot was pushed away by Heaton and cleared off the line. Sissoko, on for Dembele, was lucky only to receive a yellow card for a high tackle on Ward and Burnley's sense of injustice was compounded when the Frenchman laid on Rose's winner 20 minutes from time. Sissoko carried the ball forward on the counter-attack before slipping the ball to his left-back, who drilled it past Heaton for his second goal of the season and first since August. Vokes went close in the latter stages but there was little sign of a comeback as Tottenham held on for a narrow victory.